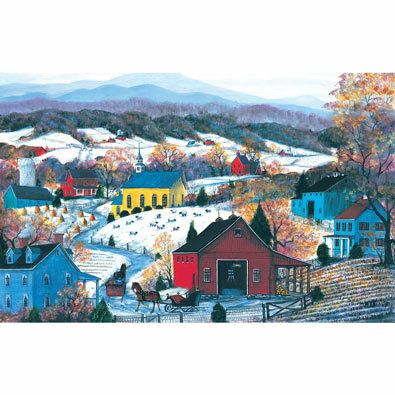 This 550 piece jigsaw puzzle is designed by Mary Ann Vessey and measures 15" x 24". This 550 piece jigsaw puzzle is designed by Des McCaffrey and measures 15" x 24". This 500 piece jigsaw puzzle is designed by Giordano Studios and measures 18" x 24".